In their endeavour to curb Fake News, social media giant Facebook on Monday announced that it had removed 702 pages and accounts from India. 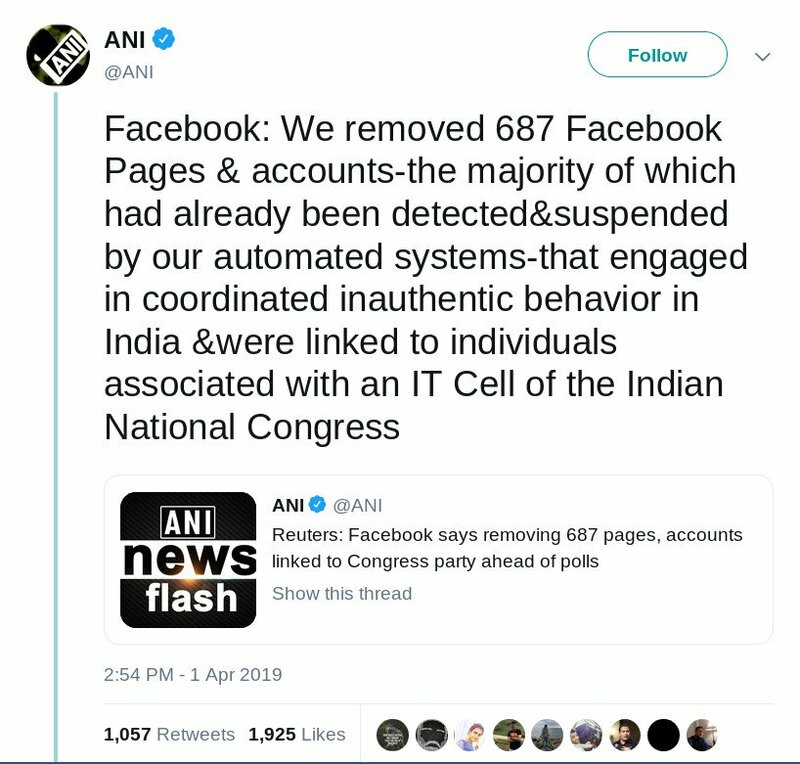 News Agency ANI, was the first to report this news stating Facebook removed 687 accounts linked to the Congress. In continuation to their initial tweet, ANI said that these accounts were detected and suspended by automated systems that engaged in co-ordinated inauthentic behaviour in India and categorically mentioned that the same were associated with an IT Cell of the Indian National Congress. 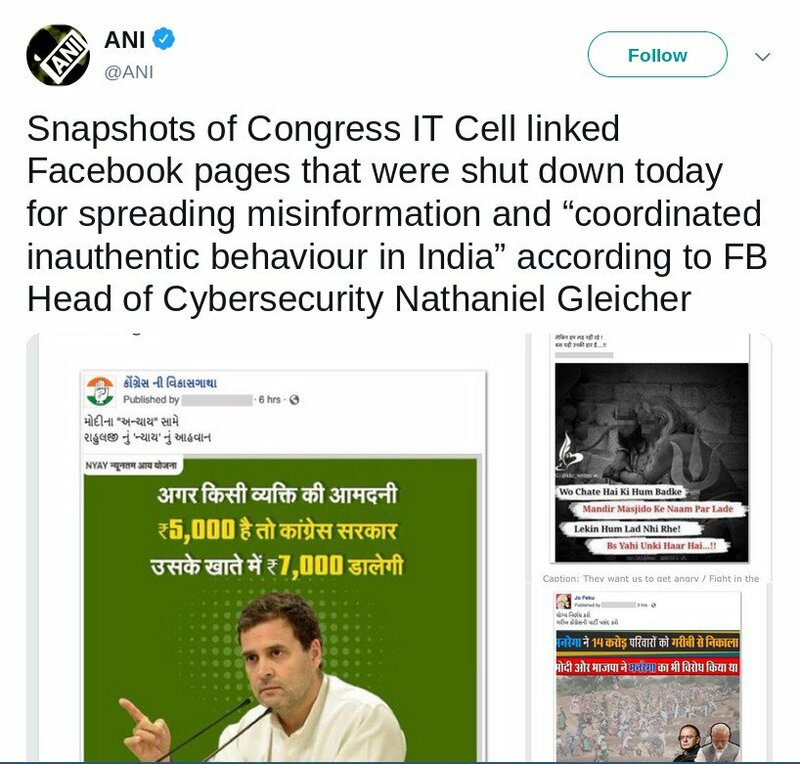 In a subsequent tweet, ANI even posted snapshots of the Congress linked Facebook pages that were taken down. What is extremely pitiable is that a news agency from where most media houses access their daily news, chose not to mention that similar action was initiated by Facebook on several motivated BJP linked accounts as well. Silver Touch, based out of Ahmedabad, is an IT firm with close links to the BJP. They are the ones who have designed the NaMo App as well as Rashtrapati Bhawan App. Alt News Founder, Pratik Sinha exposed this hypocrisy via a twitter thread today. Silver Touch based in Ahmedabad is the one that has made the NaMo app, app for Rashtrapati Bhavan etc. In short, connected with BJP. 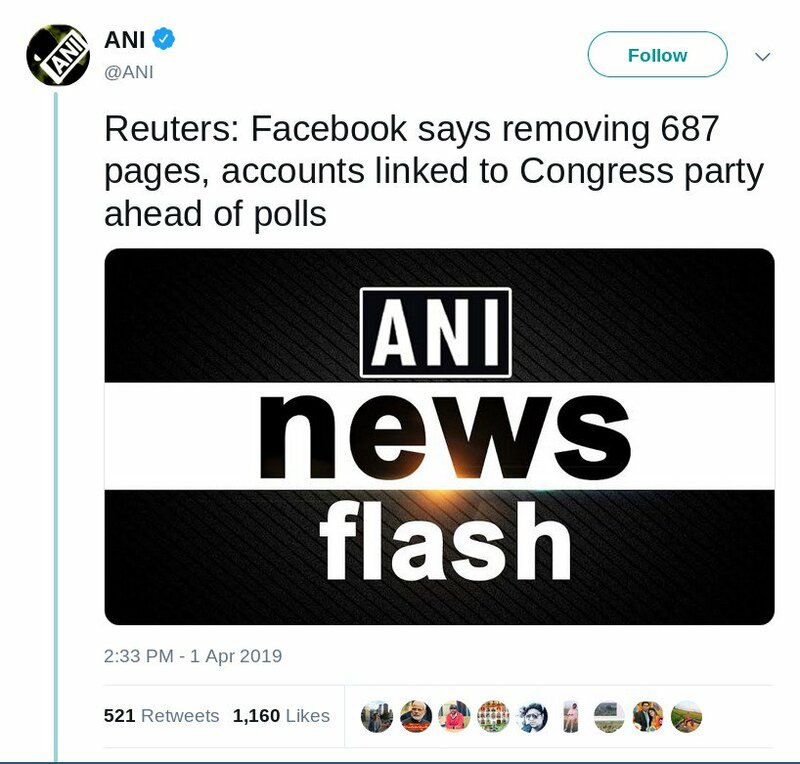 Several BJP linked pages have been taken down by Facebook, which mainstream media chose not to report with an incomplete headline only targeting the Congress. Interestingly it is questionable as to why Facebook has only named the Congress in their official announcement. My Nation -BJPs prominent propaganda FB page is down and so is BJP backed, hosted on Silver Push server- Indian Eye and many more. Pages backing BJP that were created by Silver Touch & were pulled down by FB today, had 2.6 million followers and the amount of money spent by them for ads was $79000. Abhijit Majumdar, is the editor of My Nation which is owned by BJP MP Rajeev Chandrasekhar’s Asianet News Network. The Indian Eye is another pro-BJP account having 2.6 Million followers which has been suspended. The Facebook post mentions the Congress party but does not name the BJP. Congress has vehemently denied any association with the accounts that have been pulled off by the social media platform. 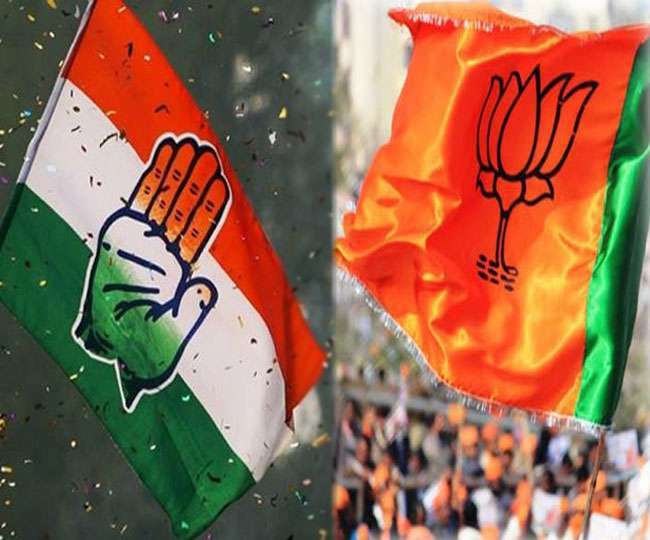 Such singling out of one particular political party could play an important role in influencing the minds of the voters just before the Lok Sabha Elections 2019.